SINGING ROCK from its beginning supports various organizations and associations involved in the outdoor industry. SINGING ROCK offers these organizations more than just financial support. We also provide them consulting services, employee volunteers, product and publicity in an effort to ensure their presence far into the future. 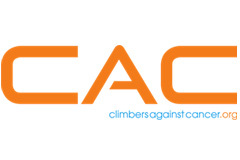 SINGING ROCK proudly cooperates with Climbers Against Cancer (CAC), the international charitable organisation supported by climbers, their families and friends world wide, with an aim to help the fight against cancer through donations to cancer research facilities across the globe. Top climbers from around the world have already offered their support to the campaign by wearing the Climbers Against Cancer clothing and by following their lead and purchasing a T-shirt (or other CAC products) you will all be contributing to the fight against cancer. Further information available on CAC websiteorfacebookpage. 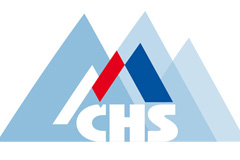 The main activity of Czech Mountaineering Association (CHS) is to support mountaineering and climbing in all its forms and disciplines including ski-mountaineering and creating the conditions to develop this sport activity in the Czech Republic on recreational and professional level. SINGING ROCK participates in the development of methodological and safety materials in cooperation with CHS for the climbing community and clubs. Czech Association of Canyoning is an organization that associates together people interested in canyoning in the Czech Republic and Slovakia. The Association was founded on 28 September 2004 in Slovenian Bovec. The Association is a voluntary, hobbies, non-political, economic and sporting organizations, associating together those interested in sporting activities and training in canyoning. SINGING ROCK supports the members of this association and also cooperate with them on the metodology for canyoning. There are currently over 80 members of this 'not-for profit' Association, stretching from Norway to India and from the UK across to the Czech Republic. As a charitable organisation directly funding specific projects, the association wants to proove that the European outdoor industry is committed to putting something back into the environment, and all working together a real difference can be made. SINGING ROCK has been a member of this association since 2012 and helps to protect the nature and to provide better environment for our next generations. Industrial Rope Access Trade Assciation (IRATA) is the sole global trade association in the work-at-height sector; it has member companies in every continent. 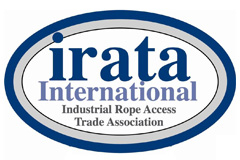 Industrial rope access has been developed by IRATA in the last 25 years to a point where it is the chosen means of access for much of the work in the offshore oil and gas industry as well as a range of projects in construction, civil engineering, the built and natural environment and much more. Its success is based on thorough training and strict work guidelines that deliver an unrivalled safe working record year after year. SINGING ROCK is certified as IRATA training company. SINGING ROCK is the first and so far the only company in the Czech Republic to become a member of the globally recognized association IRATA. 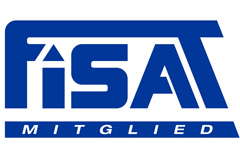 Professional Organization for Rope-Assisted Work Techniques – FISAT e.V. is the professional organization for everyone involved in trades involving the use of rope for rescue and work. On this site, we provide extensive information on professional rope access and climbing techniques, from safety guidelines and training to certification exams for rope access technicians. Our input in various panels and working groups benefits the continual further development of working techniques as well the constant improvement of safety in this field of work. SINGING ROCK is associated member of this organization a provides full service for everyone involved in work at height training.